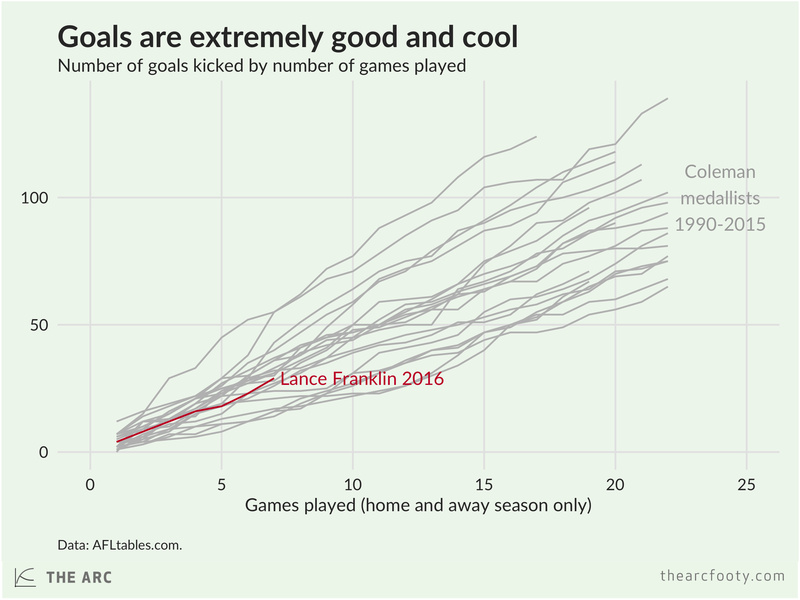 Buddy Franklin has kicked an average of four goals per game so far this year. If he keeps that up he’ll almost definitely win the Coleman, but he’ll need to pick up the pace just slightly if he wants to be the first player to crack 100. 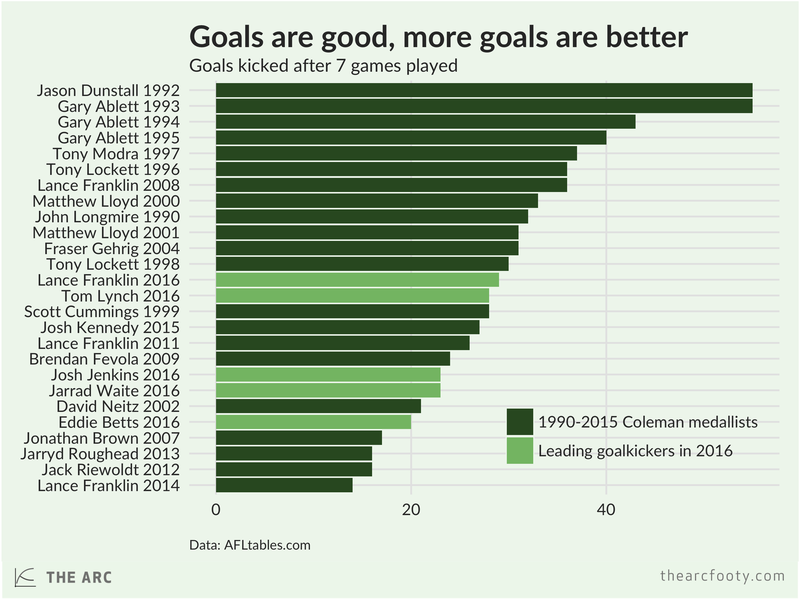 Buddy is outscoring about half the AFL-era Coleman medalists at this point of the season. Tom Lynch is right up there with him – the Coleman race is far from done.